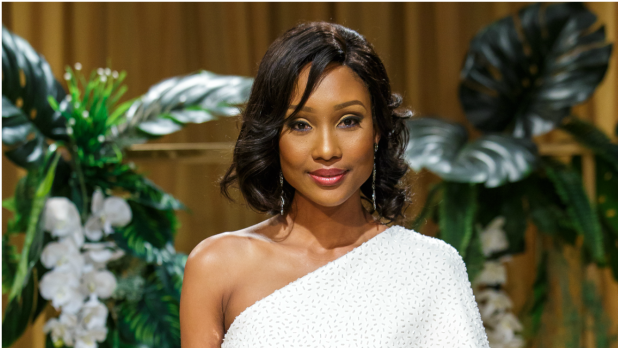 Viewers of the most loved soap Generations the Legacy are in for a fashion show stopper at Zitha and Tau’s wedding. 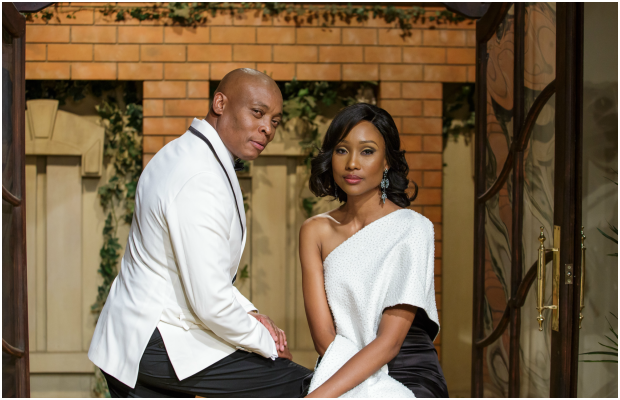 Zoe Mthiyane who plays Zitha on the soapie, is set to tie the knot with Rapulana Seiphemo who plays the character, Tau. The on screen storyline of the couple so far has been filled with many challenges and as they prepare for their big day, Drum speaks to the soaps head of wardrobe Natalie Lundon to find out what inspired the gown. Natalie explains that Zitha’s wedding gown is inspired by her character’s personality which tells a story of a young woman who is an engineer and has had to fight her way into a male dominated industry. 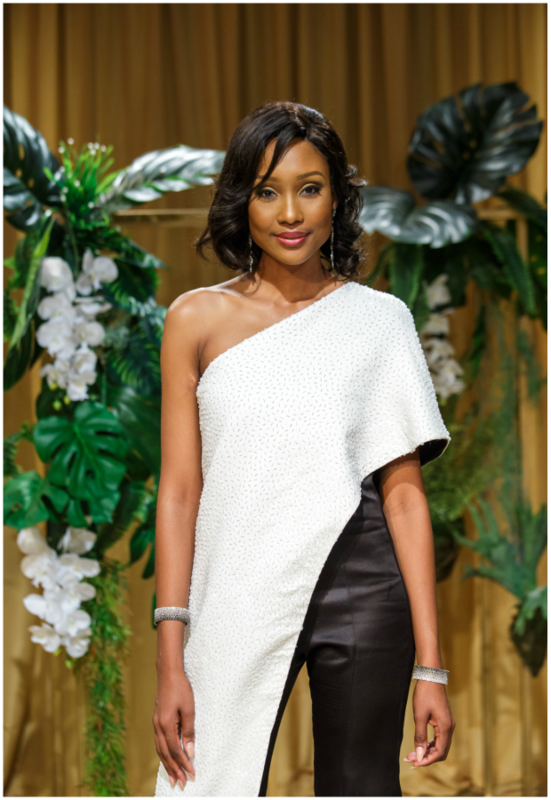 Zitha can be seen in many scenes pulling off a modern day business woman look in a tailed suit, which is why her wedding gown is a black and white jumpsuit couture. 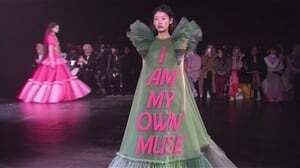 According to Natalie the wedding gown’s design is unconventional and serves as a symbol of the power-house that Zitha’s character portrays. The color scheme, black and off-white which are the highest contrasting colors says Natalie, have been incorporated into the wedding gown design as a symbol of boldness. The bridesmaids and their monochromic stripe fabric give off ‘edginess’ to the design concept which Natalie says the viewers – in particular the modern bride – will be inspired by. “I feel this will become a well-supported trend in bridal-wear for the contempory bride,” says Natalie. See the pics of what you can expect to see at the wedding on Friday.